Volkswagen was rumored to be unveiling the long awaited sequel to the most iconic surf wagon ever, the Volkswagen Bus, at this year’s Consumer Electronics Show in Las Vegas. Last night they pulled the cover off their big secret. While the tech crowd might have been wowed, those of us hoping for a glimpse of our next surf van/adventure vehicle were wildly disappointed. The BUDD-e won’t be loaded down with surfboards anytime in our foreseeable future. It’s merely a concept minivan crammed with experimental tech. 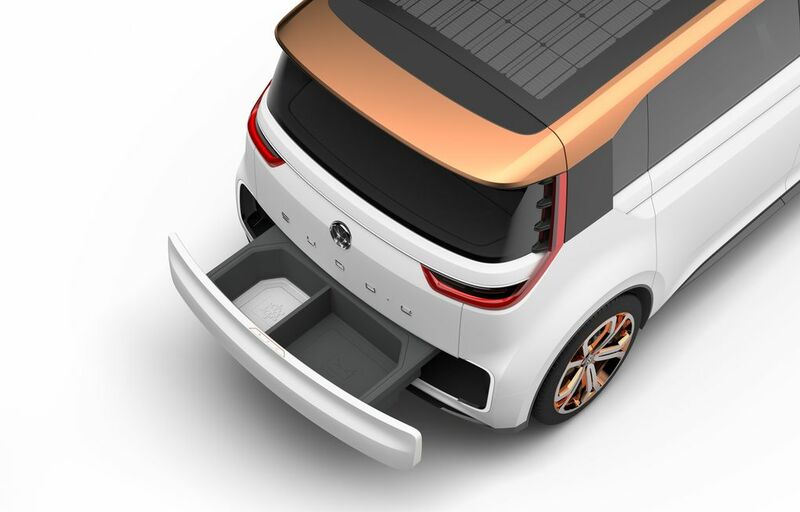 In the aftermath of a huge “clean diesel” emissions control scandal, VW was visibly pushing the envelope on new clean-tech with their all electric platform. The claim that the BUDD-e (if it were real) could travel 373 miles between charges. That’s enough to get you from San Clemente to Ensenada and back with some energy to spare sitting at the border for a few hours. The BUDD-e concept is loaded down with touchscreen and voice recognition for everything from the entertainment system to the climate control. If a passenger in the rear asks to crank up the heat (because he forgot his wetsuit and has hypothermia) only the heat in his climate zone will increase, leaving the other more responsible surfers in the car comfortably cool. The tech is very impressive, and Greg Long would appreciate the built in weather systems displays. Maybe we can get a surf forecast service to integrate their forecasts into the dashboard. There’s also a cool little drawer that comes out of the back, which will be perfect for those stinky booties. 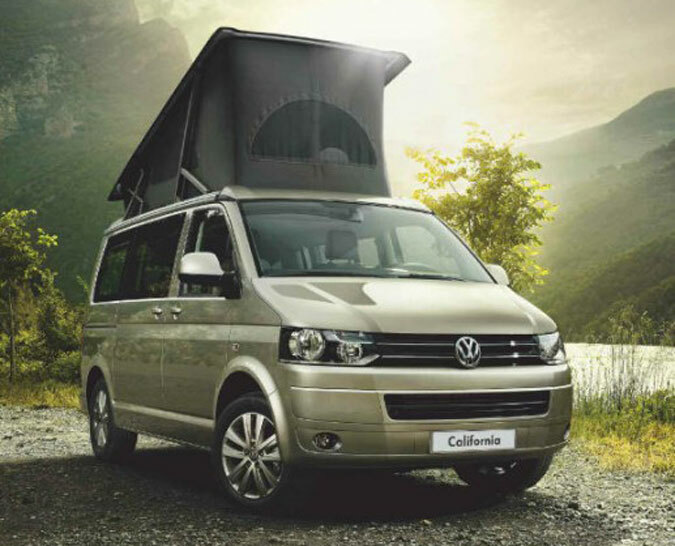 Earlier this year, VW unveiled the new T6 California Camper Van, which is in fact the newest version of the bus. However, despite the “California” moniker, it will only be for sale in Europe. VW doesn’t believe there’s a market for $50,000 van/camper in the US, because we have plenty of full size RV’s in that price range. You can read an interview with Pressesprecher bei Volkswagen AG” Christian Buhlmann at the North American International Auto Show here. 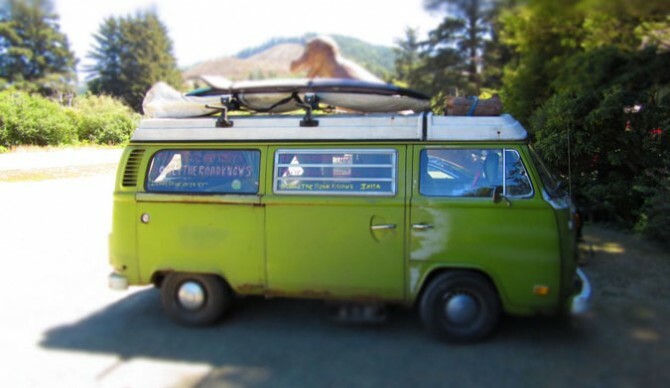 So, we will just have to keep restoring our old beat up beloved VW buses, or just love them the way they are.